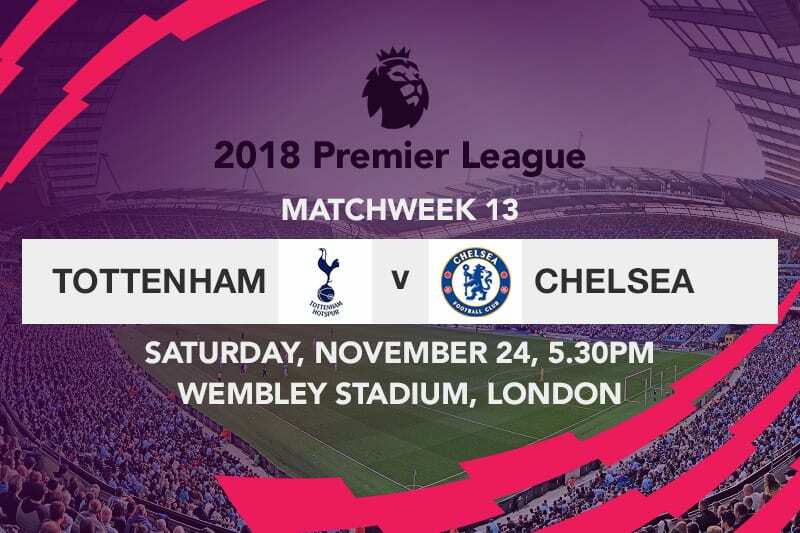 Tottenham Hotspur is scheduled to welcome Chelsea to Wembley on Saturday afternoon in one of the most fiery football derbies in the English capital. Extra pertinence has been added onto the encounter due to the fact that both sides are separated by a paltry point, with the Blues ahead on 28 points-nevertheless four points behind champions and current league leaders Manchester City. Mauricio Pochettino’s charges won by a solitary goal on their last outing right before the international break, triumphing against Crystal Palace at Selhurst Park. The only goal of the encounter was a header scored by defender Juan Foyth in the 66th minute. Harry Kane saw his goal bound effort partially blocked, but Foyth was quick to react, as the Argentina international pounced on the ball to score his first goal for the club. Netting the winner and exhibiting an impressive, well rounded performance attracted plenty of plaudits from his manager, especially because the young defender had conceded two penalties in his Premier League debut a week earlier; a match away to Wolverhampton Wanderers in which Spurs still won 3-2. 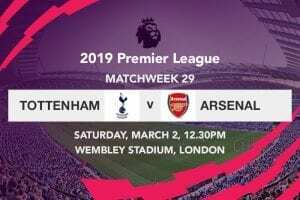 The victory, their fourth consecutive triumph in all competitions since losing to Manchester City in late October, further stretched their gap with fifth-placed Arsenal to three points; this coming after the Gunners were held to a 1-1 draw by visiting Wolves on the same weekend. Chelsea’s Thursday night encounter in Belarus, one which they won 1-0 against BATE Borisov, seems to have come at a price, as the Blues had to settle for a barren draw when they played host to Everton before the international break. Despite only picking up a point, Chelsea- on 28 points- remain unbeaten in the League under Maurizio Sarri, and are still well within reach of leaders Manchester City who are four points aloft. Pochettino will have to get his game plan right should he want to reap a meaningful outcome from the match, as the Spurs gaffer will be heading into the bout with a long list of injury woes. Centre back Davinson Sanchez is out with a hamstring injury, and there are fears that the Colombian will not be available until the New Year, whereas fullbacks Kieran Trippier and Danny Rose and both ruled out with groin injuries. Mousa Dembele is expected to return to London so as to continue with his rehabilitation, having spent the last two weeks in treatment for an ankle injury at a specialist facility in Qatar. What will come of Tottenham’s Champions League run? The only shred of good news for Spurs is that Jan Vertonghen marked his return to full training last week, having been out of action since sustaining a hamstring injury during their 2-0 over Huddersfield Town back in September. The Belgian’s participation this weekend however remains to be seen. Marco van Ginkel is the only long-term absentee for Chelsea, as the Dutchman is out with a cruciate knee injury, whereas there are lingering concerns over Mateo Kovacic after the 24-year old missed Croatia’s defeat to England in the UEFA Nations League due to a muscular problem. Ethan Ampadu on the other hand cut short his stay with the Wales national team after sustaining a knock against Denmark, although the adversity of the injury still remains unknown. 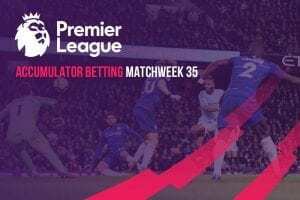 Whereas Spurs have already lost on three occasions in the Premier League this season, Chelsea remain unbeaten, and will be looking to maintain that impressive run of form this weekend. Despite the demanding nature of Thursday night Europa League fixtures, the Blues have thus far proven that they will risk life and limb to protect their unbeaten run in the Premier League. Barring a few injury concerns, Chelsea’s first eleven will still be at full strength; one that gives them a real mental edge over a Spurs side riddled with injuries, and struggling to find the goals.